Body Mass Index (BMI) is a good way to check if you are a healthy weight. Use our BMI calculator to check the whole family and find helpful information and advice. BMI is a measure of whether you are a healthy weight for your height. For adults over 20 years old, BMI falls into one of the categories below. This scale is not an accurate measurement for the following: athletes, older people, pregnancy, and Asian ethnicity. Drop a glass size - reduce your alcohol units and measures this will reduce your calorie intake. Portion control - have a look how much you plate up at dinner time, is there too much. Could you substitue some for more veg or add a spoon less. Stop eating children's leftovers and stop eating when full, you don't need to clear your plate. Easy swap - reach for a healthy option rather than the choloate bar or packet of crisps. One chocolate bar a day is equivalent to 2.5lbs of fat over a month or 1.5lbs for a packet of crisps. Be Active - move more, sit less. If you are eating unhealthy and not exercising then you will put on weight. Build in activity into your daily routine. Reduce Salt - count how many times you add salt at the dinner table. Can you reduce this? Use lo-salt or none when cooking. The chart is only a guide and it won't take into account muscle mass. So for example a professional athlete who has more muscle mass and little body fat their results would be 'obese'. However for the majority of people this won't be a problem. Another way to measure healthy weight is waist to hip ratio. This looks at your 'central obesity' the amount of fat that is carried around the stomach, bottom and top of your thighs. 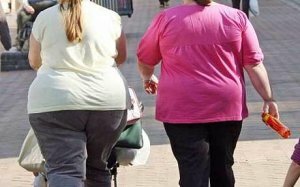 This type of excess fat puts you more at risk of type 2 diabetes, heart attacks and strokes. A ratio of 1.0 or more in men or 0.85 or more in women indicates that you are carrying too much weight around your middle. This puts you at increased risk of diseases that are linked to obesity, such as type 2 diabetes and heart disease. If you are concerned about your weight, please speak to your GP. 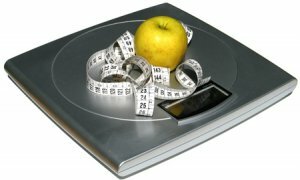 If you are overweight you may be eligible for our exercise referral scheme or other weight management programmes such as 'LEAP' which are run in Blaby District. If you are underweight there maybe underlying reasons; medical or emotional problems, your GP can talk through these and give you help, advice and information. Programmes called FLiC and LEAP for people who live/work Blaby District.